New! Bring a friend and both you and your friend will receive a 15% discount on your program. Why not come this summer for a course or guided retreat AND invite a friend to come along with you – each of you taking advantage of our 15% Bring-a-Friend discount. The benefit of coming at the same time is that together you can witness each other’s learning and growth as you both learn tools and practices to enrich your lives back home. Supporting the best in each other, you can deepen your friendship by offering encouragement and understanding, further cultivating your relationship. 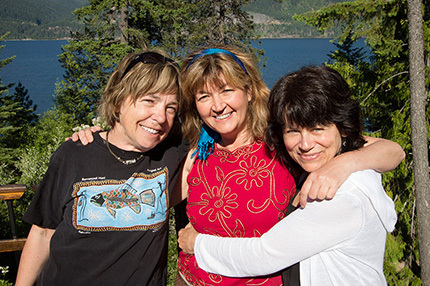 Read more about how friends have benefited from their time together at the Ashram and how a bride-to-be and friends found Yasodhara Ashram a “perfect fit” for relaxing time together before the wedding day.